Kusasa is the project of The Shuttleworth Foundation. 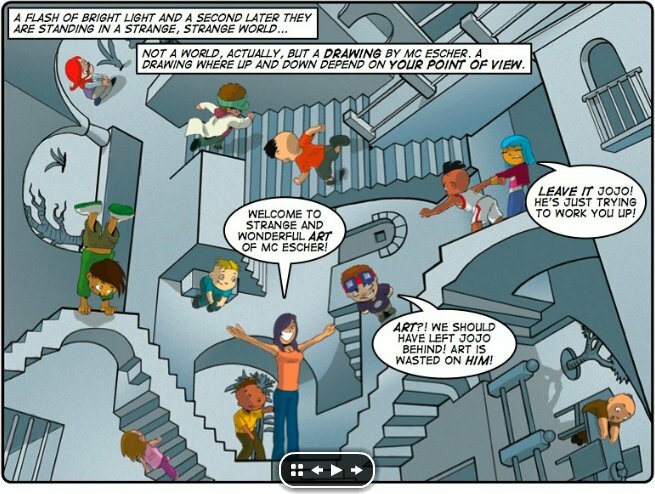 It's a new educational resource for teachers and learners everywhere. Kusasa aims to develop analytical and creative thinking in learners, and more effective teaching practices in educators. 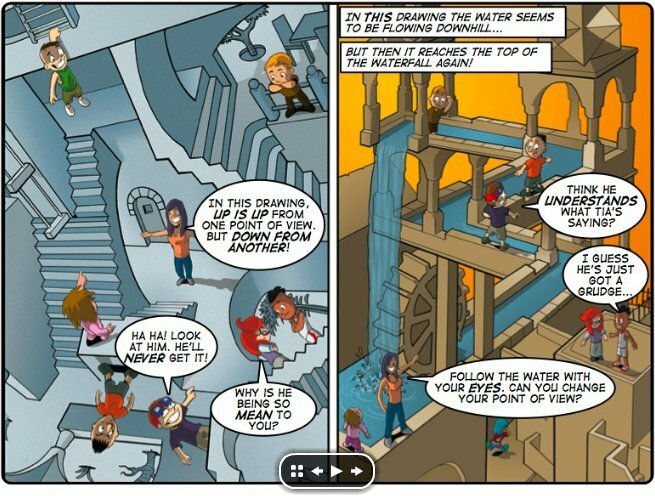 Below, there are several images from educational comics The River of Dreams, in which children with their teacher go to world of Escher.